Aesthetics and performance perfectly combined, the ArcPar™ 100 is a focused beam LED light source in a traditional style housing. 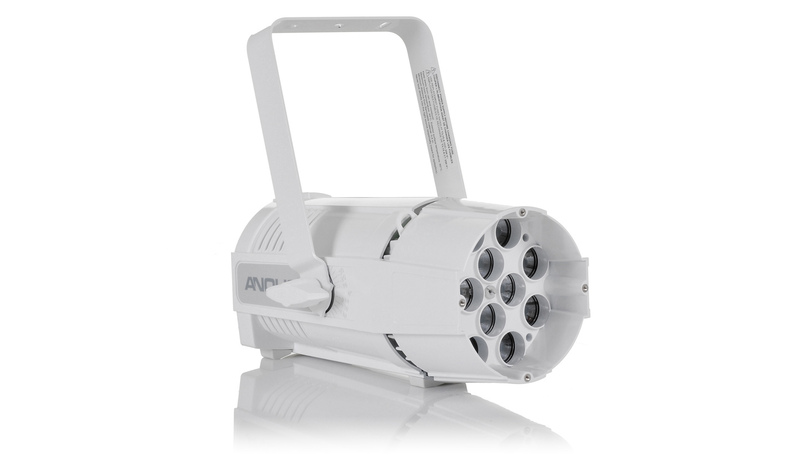 Key features include both CMY & RGBW colour control, tungsten emulation, selectable & variable colour temperatures and a powerful 7° beam which can be increased using optional beam diffusers. The compact and lightweight moulded composite unit is complete with a combined hanging bracket/floor stand. Wireless DMX, clip-on diffusion filters and detachable barn doors, are available as additional cost options making the unit a truly flexible option for many retail, leisure and architectural applications.